Data is turning out to be a strategic asset for any enterprise to march ahead with all precision and perfection. Ironically these days the data volume is mesmerizingly tremendous. It is therefore logical to capture, ingest, and subject them to a series of deeper investigations in order to extract actionable insights in time. Considering the advent of several promising and potential technologies and tools in simplifying and streamlining the transition from data to information and to knowledge, domain experts and IT visionaries have put forth a series of generic analytical domains ranging from diagnostic, descriptive, predictive, and prescriptive to personalized analytics. On the other side, there are analytical types being prescribed to empower every industry segment (healthcare, retail, security, utility, logistics, supply chain, government, oil and gas, finance, etc.) to benefit out of all the delectable advancements in the analytics space these days. In the previous chapter, we have written about a set of sophisticated high-performance technologies and tools in order to speed up the complicated big and fast data analytics. 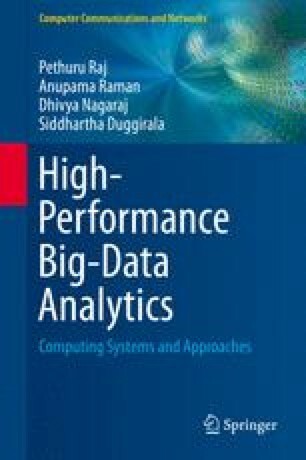 In this chapter, we would like to focus more on the happenings on the fast-evolving big data analytics space and why high-performance techniques and tricks are prescribed as the paramount elements for the envisaged and elegant success of next-generation big and fast data analytics.